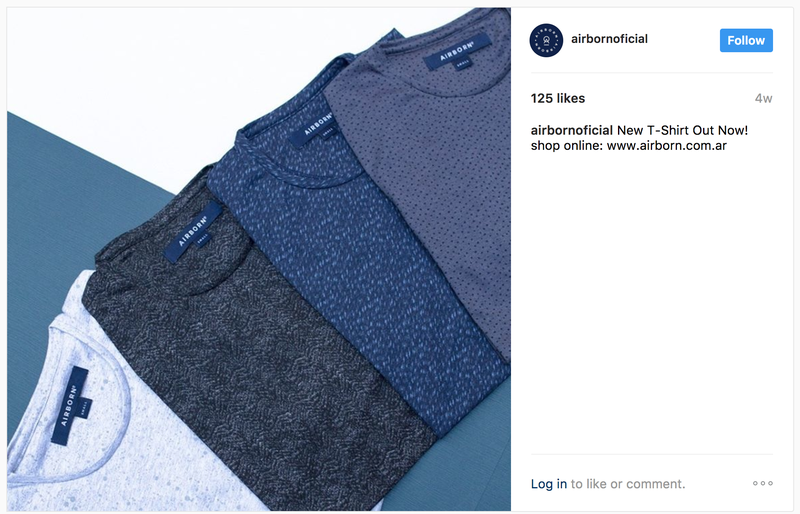 The E-commerce Clothing Industry: How to leverage Social Media? E-commerce stores are popping up all over the place. Full-fledged businesses can be completely run through the web. People are selling just about anything and everything through the internet. But if you, a clothing and accessory company, want to compete in this crowded space, it’s important that you compose beautiful images and content to stand out on Instagram and Facebook. 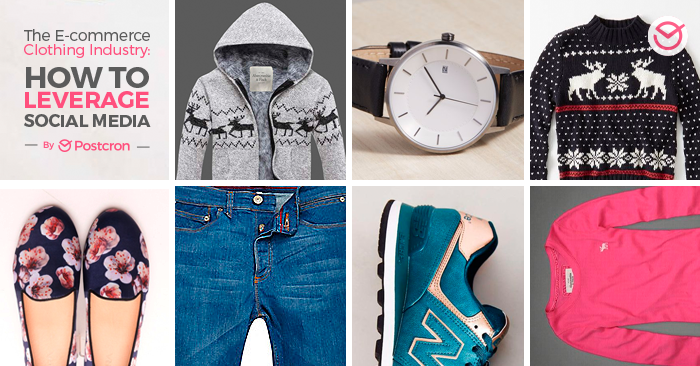 The clothing market is saturated and you need to find a way to stand out. This post is designed to help you understand how social media automation and scheduling can help clothing and accessory companies to maintain a strong social media presence. There are a large number of people and organizations that sell clothing directly through social networks. People are not only shopping in large stores such as Macy’s or Nordstrom these days. The development of social media marketing and automation has made it so you can get your clothing and accessories in front of the right people, at the right time. Effective social network usage can level the playing field between small direct sellers and larger retailers. Photo posts get approximately 39% more interaction. More interaction means that more people are likely to see your posts. Photos get more interaction than links, videos, or text-based updates. Having good, captivating photos will make people more likely to stop and engage with your post. You can create a mini studio in your house to take professional-style photos while on a tight budget. All you need are things such as cardboard, a smartphone, a table, a white cloth, some scissors, etc. Posting consistently helps establish legitimacy and a traction for your social network engagement. Posting relevant, fresh, and interesting images and content on a consistent basis keeps your followers engaged over long periods of time. Then, when you post-sales content a couple times a week, you will receive more impressions from an engaged audience that is more likely to make a purchase. The task of taking amazing photos for your Instagram and Facebook can seem daunting if you’re a novice. However, it’s not as complicated as it may seem to the untrained eye. Here are a few key things to keep in mind while taking photos and some tips for bringing out the best from your photography. Mini Sets of Photos – Compiling mini sets of photos is actually quite easy and also very eye-catching for your audience. You can take multiple pictures and then organize them together to make one larger image with smaller images inside of it. There are a number of free smartphone apps and web apps you can use to make edits and photo collages such as PicCollage, PicsArt, PicMonkey, or Instagram’s Layout app. You don’t have to be a Photoshop expert to make quality mini photo sets. 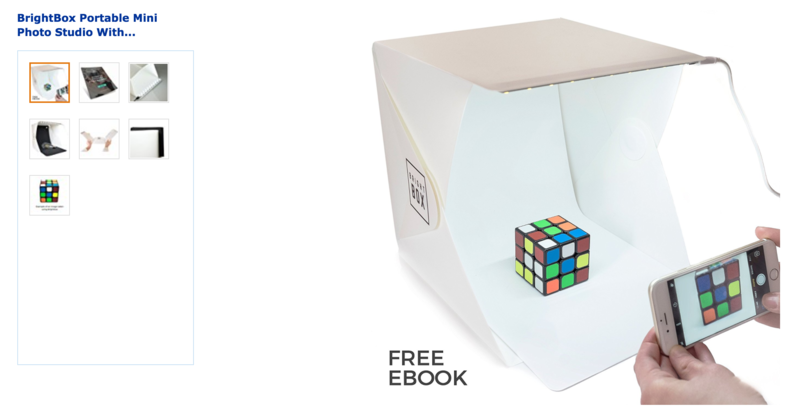 These mini studios work quite well to help you achieve quality lighting for product photography. Camera Angles – Finding the right angle for your product is mostly a process of trial and error. You’ll want to move around the product and turn it in different ways so each shot is from a different perspective. Try shooting the product from above or try shooting the product from below through a glass table, etc. Once you find the right angle, you’ll know. Photography is not an exact science. You will feel it when you see the photo that makes the product look best. You Can Use Your Own Smartphone – Nearly all of today’s smartphones have high-quality cameras. Don’t go out and buy a camera when you can use the great camera that you carry with you every day. Smartphone cameras come with helpful features such as LED flash, image stabilization, and autofocus. Everything you need for a great product image can be found on your own smartphone. Composition – Be creative with positioning and orientation of your images. Taking a lot of photos where the main subject of the image is directly in the center is boring. Similar images over and over again in your feed will bore your audience and in turn make them less engaged. Lighting – Test different physical lighting, indoor vs. outdoors, and even your camera’s settings. It all depends on what you’re working with but putting a white piece of paper behind a hat may be all you need to really boost your pictures. Camera Angles – Take photos from a multitude of different angles. Sometimes you may not even realize how much better a photo may turn out just by moving around the subject a bit. 7% Of all Postcron users that post to social media are part of the clothing industry. This means that more than 32 million posts scheduled through Postcron have been from clothing or accessory companies. Your competition is doing it, you should too. Social media is a conversation. You need to involve your audience to make it a two-way conversation and improve the relationship with your customers. Social media is a fun way to entertain and get in front of people who can easily share your product with friends or family. Scheduling these posts can make you more efficient with your content calendar and, therefore, you can spend more time on creating captivating content for your audience. The best way to generate referrals is by creating fun, educational content that people are likely to share. Scheduling posts through Postcron is simple and efficient. Customers are always watching for a steady stream of captivating content. Social media automation does not mean robots are posting everything for you, but it helps you to maintain a schedule. Scheduling posts gives you more time to focus on other business operations and also keeps consistent content flowing through your social channels. The more quality content on your social networks, the more web traffic you’ll receive, and therefore, the more revenue you will generate. Many direct sellers of clothing and accessories are not even companies. Individuals can easily set up a simple online shop where customers can buy t-shirts, hats, bracelets, etc. A lot of these users even have full-time jobs and sell clothing and accessories online as a secondary job. The ability to schedule social media posts can offer flexibility while still allowing these people to maintain a high-quality social network presence. How Do I Effectively Leverage My Social Media Automation? Now that you’ve decided that social media automation is important, now you’ll ask, “How do I take advantage of it?”. The Importance of Frequent, Consistent Posts: If you’re new to this and want to take one thing away from this whole thing – Post, post, and post. Consistency is the key factor, but there are also a number of best practices to help you automatically sell your clothing and accessories by getting them in front of the right publications and customers. The Importance of Interaction –like we said before, photo posts get approximately 39% more interaction. More interaction means that more people are likely to see your posts. Photos get more interaction than links, videos, or text-based updates. Having good, captivating photos will make people more likely to stop and engage with your post. The Importance of Good Photos –Sorry for the persistence, but really, to create a mini studio at home is very simple if you follow the instructions detailed above. All you need are things such as cardboard, a smartphone, a table, a white cloth, some scissors, etc. You can develop a quality image with common household items, decent lighting, and a smartphone camera. As you can see, clothing companies are moving more and more into advertising and engaging customers through social media. Effective use of social networking helps even the smallest of direct sellers run with the big dogs. 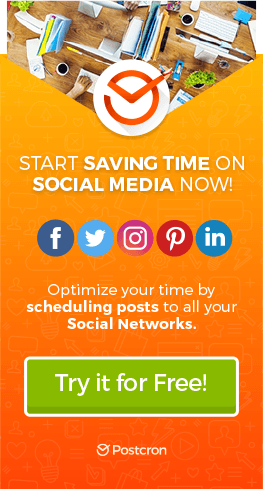 Postcron’s social media automation and scheduling makes it so you can spend more time selling and less time working on your social media marketing plans. You can utilize some of the tricks in this post to help make your posts and pictures look as professional as possible. Contact us today to let us help you become the best online clothing e-commerce store you can be.